jane iredale® makeup is not just a refinement of conventional makeup; it’s a new technology. It’s so effective that it is recommended by plastic surgeons, dermatologists and skin care professionals around the world. Beautiful colours across foundation, eye shadows, lip colours and make-up kits inspire a range of looks from barely there nudes to glamorous evenings. Beauty is not beauty without jane iredale®. 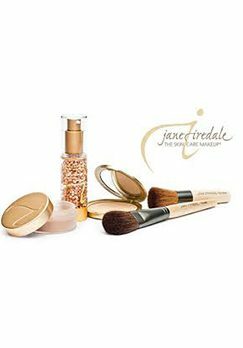 Jane Iredale make-up is 100% natural, with skin care elements to benefit your skin whilst wearing. With our lessons, you can achieve the look of fresh, youthful skin through our variety of bases to choose from – to creating a wide range of evening and special occasions looks that you can recreate at home with ease! 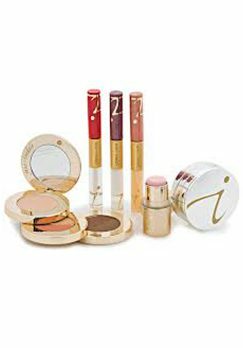 What makes jane iredale® make-up unique? During the lesson the make-up artist will give you a thorough skin consultation, decide what make-up that best suits your own style, lifestyle and skin type/concern. 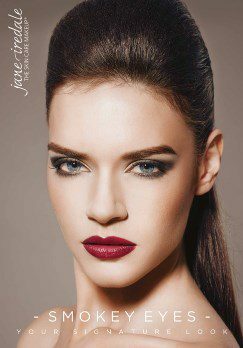 Why not bring in your make-up bag so that our make-up artist can show you how to utilise your make-up alongsdide Jane Iredale? Discover the Jane Iredale skin care make-up experience by joining our monthly in-salon tutorials, with the Jane Iredale make-up artist. Monthly bookings on request.